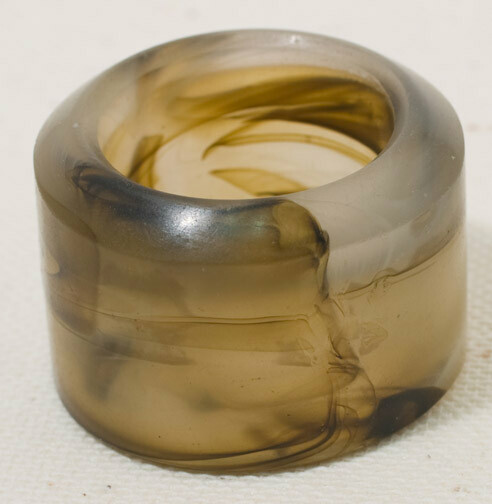 19th century glass archer's ring. 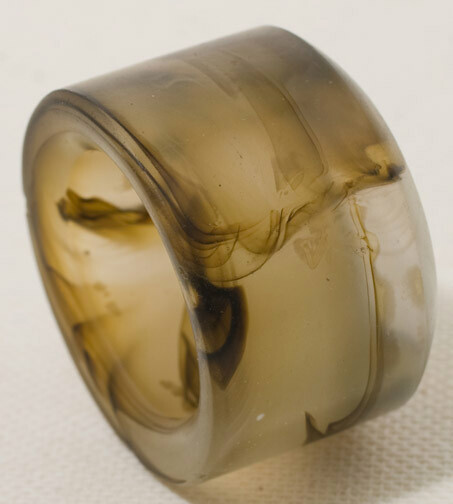 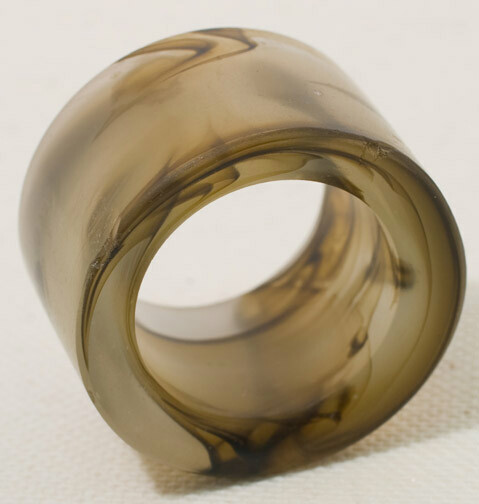 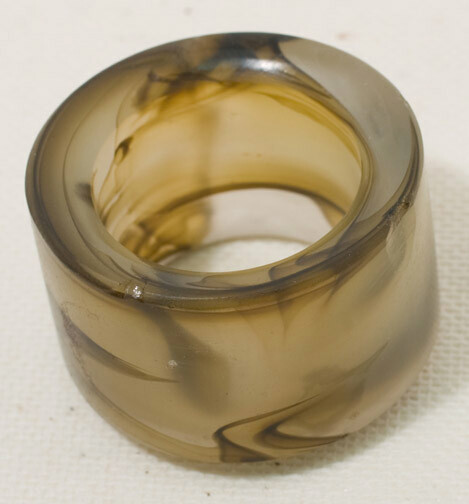 This ring is made of glass that has been made to look like agate. 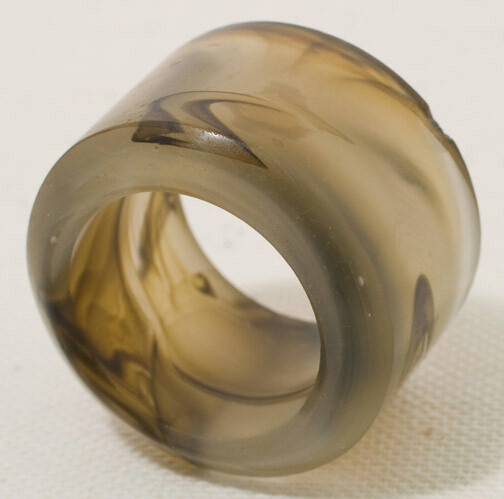 There is a small chip on one edge.